Offbeat, an alternative culture store that concentrates on selling designer toys, records, art books, and graphic novels, is proudly owned and operated by Phillip Rollins. The idea for the store came from a class he participated in when he was younger. “I was part of this Mississippi Black Leadership Institute …And at the end of the institute, we had to come up with a project that would affect our community, whether state-wide or locally. 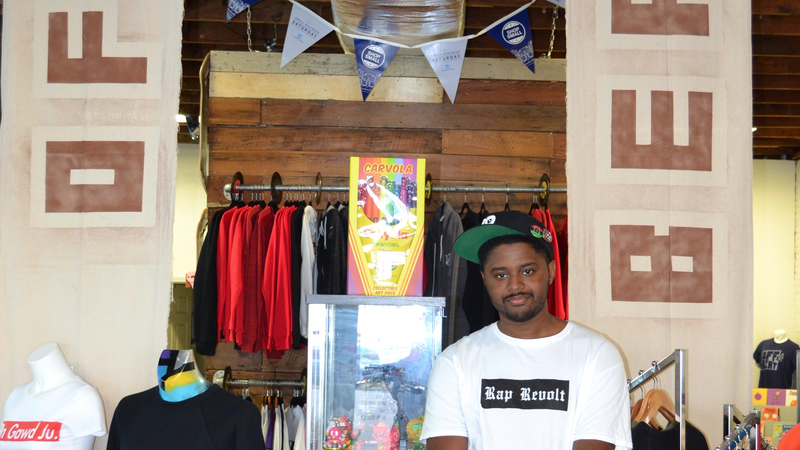 This store was the best way I could affect my community culture and art-wise,” Rollins said. Offbeat has been in business since May 17, 2014 and features several minority artists in the surrounding areas. On display now are several pieces from a local public school that depict famous cartoon characters re-imagined as African-American. The store is only a short distance from Millsaps’ campus, which guarantees easy access for students looking for a simple getaway. “I chose this location because I started out dee-jaying a block away at a place called Seven Studios, which is now closed. I was looking to put (Offbeat) in Fondren, but all the places I talked to told me no…I felt like this is a destination shop. Comic stores are destination shops. People don’t just walk into them; they go directly to them if they’re searching for something,” Rollins said. The store has a little something for everyone. Rollins said people ages 18 to 50 come by looking for different ￼items. As you enter, you are greeted with several figurines. They resemble characters from Mario and Mickey Mouse to Snoop Dog. They also have clothing items such as shirts, sweatshirts, and hats. “Mostly young people get records or comics and they’ll pick up a designer toy. A lot of the older people will go strictly for the records,” said Rollins. Ultimately, Rollins wants his store to be a judgment-free zone for people to come, relax and enjoy a drink or two. He wants to set himself apart from other comic stores, something he has done by displaying young minority artist’s artworks in his store. Offbeat, located at 151 Wesley Avenue, is open Wednesday through Sunday from various times and invites everyone to follow them on Twitter, Facebook, and Snapchat at @OFFBEATjxn.